On April 3, 2007, Arielle Newman, a 17-year-old track and cross-country standout for Notre Dame Academy on Staten Island, NY, died in her sleep. Following a two-month investigation by the New York City medical examiner, a spokeswoman for that office stated that Newman died of salicylate toxicity. It was determined that, for relief from the typical aches and pains that result from a grueling training regimen, she applied large amounts of sports creams to her legs. She died from an accidental overdose of methyl salicylate, the wintergreen-scented ingredient found in products like BenGay, Icy Hot and Tiger Balm because her body absorbed a toxic amount. How could this happen? After all, Newman was a healthy high-school athlete. And, she was using topical products that can be purchased without a prescription. "Newman put the muscle cream on her legs and used adhesive pads containing the anti-inflammatory, plus an unspecified third product," said Ellen Borakove, a spokeswoman for the medical examiner. "There were multiple products, used to great excess, and that's how she ended up with high levels," Borakove said. "The products were used and the chemical absorbed over time, rather than from a single instance of overuse." Although no clear documentation exists on deaths resulting from the application of sports creams, experts said they have never heard of one other than this. Newman's death was the first of its kind in the city, authorities said. Doctors and trainers alike are perplexed by Newman's death. "This is an extremely rare and unusual case," said Eric Coris, MD, assistant professor in the University of South Florida's department of medicine in the division of sports medicine. "I've never heard of another situation like this before." 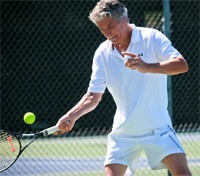 Robert Sallis, MD, past president of the American College of Sports Medicine, said he has never seen an overdose of methyl salicylate by topical application in his 20 years of practice. He believes Newman could have boosted the chemical's absorption by increasing the skin's blood flow with intense exercise, or by wrapping her skin after heavily applying the ointment. But even with those methods, Sallis questions how Newman could have overdosed by simply applying it topically. "I can't imagine she was using large enough doses [of the sports cream] to go across her skin to be fatal," Sallis said. "And even if she did, she would have experienced very specific symptoms that she would have noticed long before it was potentially lethal." Coris believes there could be more to the story of Newman's death that has not been discovered, including possible dehydration. Until then, he said her death should be a warning to coaches, athletes and parents. The ingredient in the sports creams responsible for Newman's death is methyl salicylate. The common name for methyl salicylate is oil of wintergreen. Methyl salicylate is a chemical cousin of aspirin. Thus, both drugs belong to a category of antiinflammatory-analgesics known as "salicylates." However, it is very dangerous to consume methyl salicylate orally, because it is more toxic than aspirin. Yet, as this case of Arielle Newman proves, if enough methyl salicylate is absorbed through the skin, then toxicity is possible after that route of administration, too. Exercise, in this study, consisted of cycling at 30% VO2max, which is considered "light" exercise. It was found that a hot environment and exercise can each (independently) increase the absorption of methyl salicylate from the skin. However, during the phase when the subjects exercised in a hot environment, the absorption increased 3-fold compared to at rest in a 72-degree room (Danon A, et al. 1986). Remember, salicylate toxicity from topical application of methyl salicylate can be just as serious as an (oral) overdose of aspirin tablets. The warning signs of salicylate toxicity include a ringing in the ears, upset stomach, agitation, rapid breathing, irregular heartbeat, dizziness, nausea and convulsions. If left untreated, this can result in heart failure, respiratory arrest and death. As the statements above reveal, even many health care professionals aren't familiar with how readily methyl salicylate can be absorbed into the bloodstream after topical application. However, toxicity from oil of wintergreen after ingesting it orally are well-known to poison control centers, pharmacists, and most physicians. • Salicylate level 68 mg/dl in a teenager: A teenage boy developed salicylate toxicity (salicylate level 68 mg/dl) after using BenGay while masturbating (Thompson TM, et al. 2006). • Salicylate level 52 mg/dl in a 62-year old man: A 62-year-old man developed tinnitus, blurred vision, and shortness of breath after using a methyl salicylate ointment on his thigh, twice daily, for several weeks. Blood work revealed a disruption of acid-base balance and a salicylate level of 52 mg/dl. He denied any use of aspirin or other salicylate-containing medications (Morra P, et al. 1996). • Salicylate level 48 mg/dl in a 40-year old man: In Australia, a 40-year old man developed salicylate toxicity (salicylate level 48 mg/dl) after an unknown yellow cream was applied by a Chinese herbalist. In this case, the cream was applied over the entire body followed by a body wrap of plastic cling film. The patient stated that symptoms began within 1 hour and did not improve despite removing the plastic and showering 3 times over the course of the afternoon (Bell AJ, et al. 2002). • Salicylate level 41 mg/dl in a 3-month old infant: A 3-month old infant developed salicylate toxicity (salicylate level 41 mg/dl) after his mother applied "White Monkey Holding Peach Balm" topically. The label stated that it contained 3% methyl salicylate, but after analysis, it was determined the concentration was actually 5% (Smollin C, et al. 2006). All 4 of these subjects received medical treatment and survived. It's important to realize that not all sports creams are the same. Some contain methyl salicylate, while others do not. However, it's easy to get confused because some manufacturers produce different formulations using the same product name. For example, BenGay "Ultra Strength" contains a whopping 30% methyl salicylate, whereas BenGay "Greaseless" contains a more moderate 15%, while BenGay "Vanishing Scent" contains none at all. 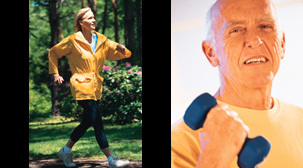 Flexall and Icy Hot products are also marketed with a variety of concentrations of methyl salicylate. The web site for Tiger Balm (www.TigerBalm.com, accessed August 24, 2007) lists at least 10 different formulations under the same brand name but does not provide the ingredients. Even more confusing is Aspercreme. The name seems to imply that the active ingredient is aspirin, however aspirin is never applied directly to the skin. In addition, capsaicin has also been incorporated into some sports creams (ex: Tiger Balm). This chemical is derived from peppers (ie., it is not a salicylate). Experts said the death of Newman points to a need for clearer warnings about risks, especially because sports creams have become a staple in locker rooms around the country. "There has to be a heightened awareness that these products are something that needs to be used under medical supervision," said Dr. Gerard Varlotta, director of sports rehabilitation at the Rusk Institute of Rehabilitation Medicine at New York University Medical Center. The labels on both BenGay (mfr: Johnson & Johnson) and Icy Hot (mfr: Chattem Inc.) say to stop using them if "condition worsens or symptoms persist for more than 7 days." A big problem is that people don't read warning labels on over-the-counter drugs, said Rebecca Burkholder, vice president for health policy at the National Consumers League. Kimberley Rawlings, a spokeswoman for the FDA, said the agency is aware of Newman's death. "We are looking into it," she said. She would not say whether the labeling requirements for methyl salicylate products might be changed. Q: It seems the obvious strategy is to not use sports creams that contain methyl salicylate. But, are "methyl salicylate-free" sports creams as effective? ANSWER: This is a good question, but, unfortunately, there isn't a lot of clinical research comparing these products head-to-head. A search of "trolamine salicylate" on PubMed conducted on August 2, 2014 retrieved only 18 publications; some of these were animal studies. Two studies compared the levels of salicylate produced by methyl salicylate and trolamine salicylate after they were applied to the skin. In one study, local tissue levels of salicylate were essentially negligible when trolamine salicylate was applied to the forearms of healthy volunteers (Cross SE, et al. 1998). In the other, the topical preparations were applied to the legs and blood levels were measured. This study also showed that methyl salicylate was superior to trolamine salicylate as the more efficient molecule for topical administration (Morra P, et al. 1996). And, not surprisingly, trolamine salicylate was regarded as ineffective when clinical effectiveness was assessed. In a study of osteoarthritis of the knee, topically-applied trolamine salicylate was no better than placebo (Algozzine GJ, et al. 1982). Thus, these studies suggest that trolamine salicylate appears to be pretty worthless when applied topically. However, 2 other studies did show that 10% trolamine salicylate cream was clinically effective: One study evaluated a single dose in patients with osteoarthritis (Rothacker DQ, et al. 1998) and the other evaluated 5 days of dosing in healthy college students using biceps curls to induce delayed-onset muscle soreness (DOMS) (Hill DW, et al. 1989). In our opinion, it appears that methyl salicylate is a better "salicylate delivery molecule" than trolamine salicylate. "The take-home message to me is for people to realize that just because it's over the counter, just because it's a supplement, does not mean it's totally safe and that they don't have to be careful with its use," said USFs Eric Coris, MD. "We see this all the time with athletes using oral supplements. They get into trouble because they think that just because they can buy it at the local vitamin store that they can take as much of it as they want." "People are thinking if it's on the shelf at their local drugstore that it's harmless," Burkholder said. "And they're going to take as much as they need to make the pain go away." 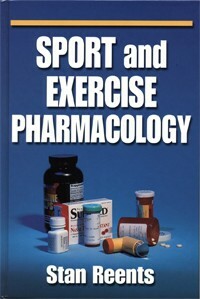 The best book for issues pertaining to drug actions during exercise is "Sport and Exercise Pharmacology," by Stan Reents, PharmD. To this day, it is still the only reference text ever published that examines the interface between drug pharmacology and exercise physiology. DISCLOSURE: Neither the author, nor AthleteInMe, LLC, has any relationships or affiliations with any of the products or manufacturers mentioned in this review.